Everyone loves popping some popcorn, snuggling up with a loved one, and enjoying a favorite movie. Most of us go to the movies at least once a month because it’s a great family or date night outing. So why not take advantage of this trend, and take it one step further, by hosting a fundraising theater night for your charity group? It’s a great way to raise money, have fun, and entertain the public with something a little different than a regular old movie night. A night at the theater has an air of formality about it, but if your community wouldn’t go for a formal affair, there’s no reason why you can’t turn a play into the next live movie trend. You can do this by turning the script of a popular, crowd-pleasing movie into a play. Regardless of the movie you choose, you’ll want to be sure not to exclude any audience members by putting on a play with adult content. Always go for a G or PG rating to ensure a family affair. After all, a night at the theater is a great way to get the whole family out and donating to your charity. 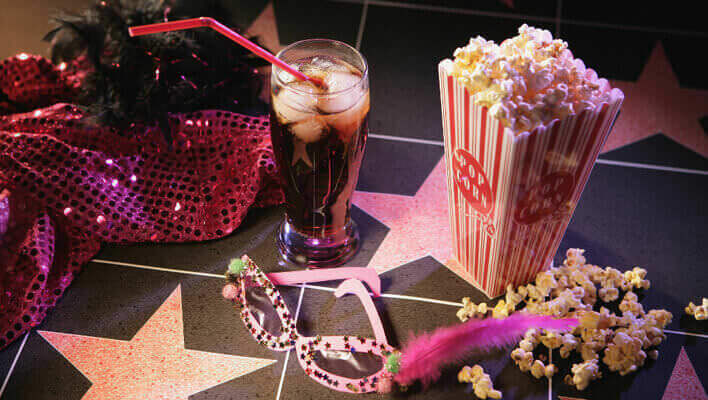 Whether you go with the movie-as-play option, or choose a traditional play be sure to choose one that has wide appeal to get the best attendance. The same rule goes for choosing your cast. Try to select a play that has numerous roles. Depending on your organization’s membership, you will want to get as many group members involved as possible. As with any group, there will be those who long for the stage, and those who long to be behind the scenes. Don’t forget to take volunteers as prop handlers, stage hands, director, stage manager, make up and hair stylists, ticket takers, ushers, and lighting and sound technicians. It shouldn’t be too difficult to find a venue to host your play. Try a local school gymnasium, a community center basement, or a youth group recreational center. And if you’re having trouble finding a decent indoor venue, take your theater to the open air. You can ask a local park to host the event under the stars. Just take the weather into consideration in your planning, and figure in a rain date just in case. Any venue that allows for an audience can be transformed into a stage. The great thing about theater is that people will bring their imaginations. Unlike a movie with CGI effects and props, a theater stage can be created with minimal backdrops, and the right music, and lighting. When choosing the date for your big show, remember that Saturday or Sunday afternoons are ideal as that is when kids will be out of school, and the theater will be more willing to donate space during their matinee time when the theater is not as busy. If your play will be held in a local theater or gymnasium, be sure to figure out how much space the venue permits before you sell tickets. And make sure you order or have enough seats on hand. The last thing you want is to oversell your theater and leave guests standing in the back. If you host your play in a park, be sure to advertise “bring your own chair or blanket” so that guests aren’t left sitting on the cold ground. Sure, theater goers are coming mainly for the show onstage, but in addition to charging admission, they will appreciate a concession stand selling snacks and beverages. You could even tie it in with your current candy bar or popcorn fundraiser. Alternatively, approach local movie theaters or ask a local rental company to borrow their popcorn machine for the evening. If they aren’t comfortable lending it out, offer to let food suppliers sell concessions at your venue and split the profits. Your charity group is likely a mix of diverse individuals. Don’t forget to cast volunteer poster makers, Web designers, and marketing gurus who will be up for creating and posting fliers around your community, advertising on the Web and social networking sites, and approaching local TV and radio stations to broadcast information about your play. Your volunteers can also make programs that give details about the play, and cast bios. Consider selling advertising space in the programs to bring in even more funds for your cause.